30 Gallon Poly Tec Commercial Plastic Hexagonal Trash Receptacle - 12 lbs. 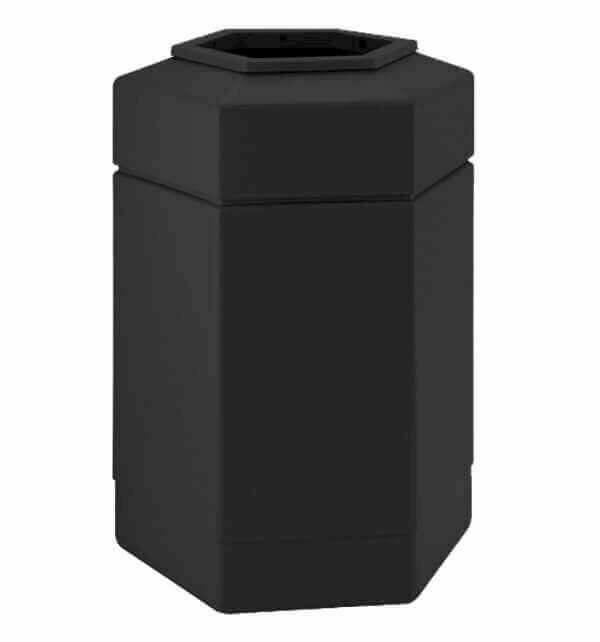 This 30-gallon Poly Tec commercial plastic hexagonal trash receptacle creates a clean and attractive look for high traffic areas. Made of 1/8" thick long lasting polyethylene that won't rust, dent, or chip and is easily clean with standard degreaser. 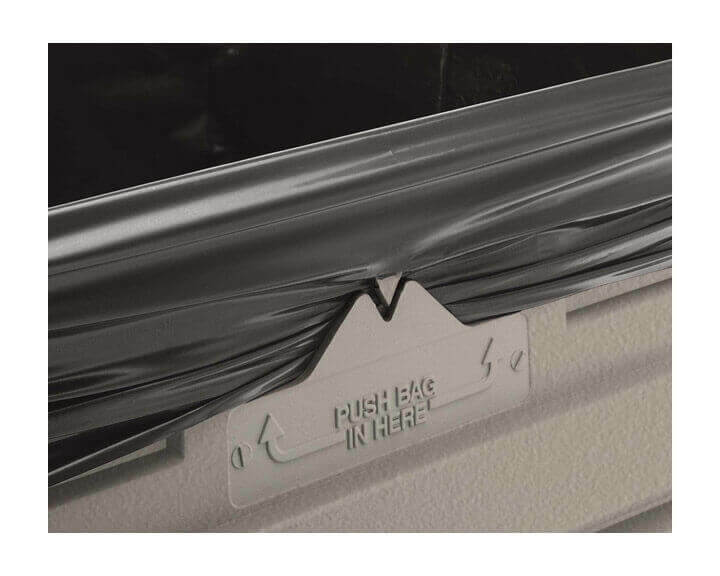 A 9 1/2" opening on the top promotes convenient disposal. 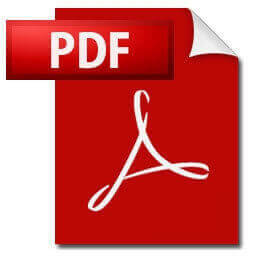 Includes the patented Grab Bag system, which secures the 39-gallon trash bag in place without being visible to public view when the lid is in place. 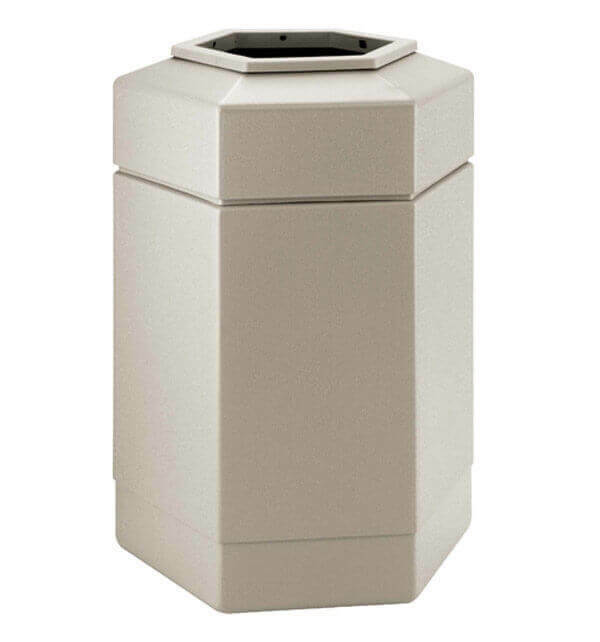 Made in the USA, this trash receptacle is backed by our 1-year commercial warranty. 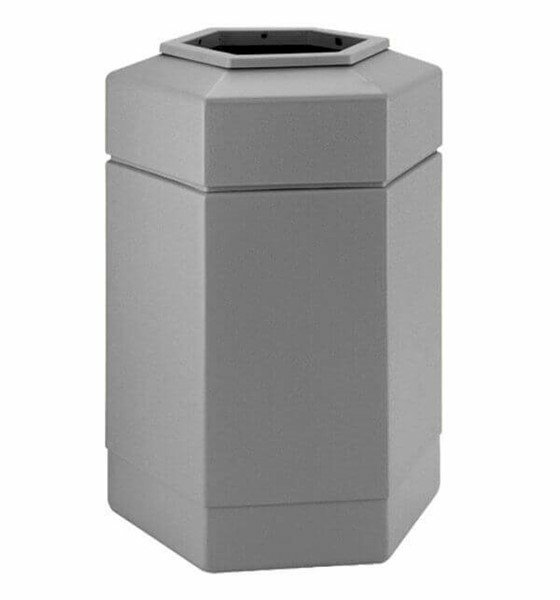 45 Gallon Double Sided Island Service Center - Polyethylene Plastic Hexagonal Receptacle with 2 Gallon Buckets and Towel Dispensers - 40 Lbs.